Born in America, Swiss-made Hamilton celebrates a milestone: 100 years of timing the skies. See what made the flyboys cool—then and now. The histories of wristwatches and human flight can’t help but be intertwined. When aviation was in its early days, pioneering pilots turned to Hamilton (shop.hamiltonwatch.com) for more accurate timepieces to back up their cockpit instruments. In fact, as early as 1918, Hamilton was the official timekeeper of the first U.S. Airmail flights. 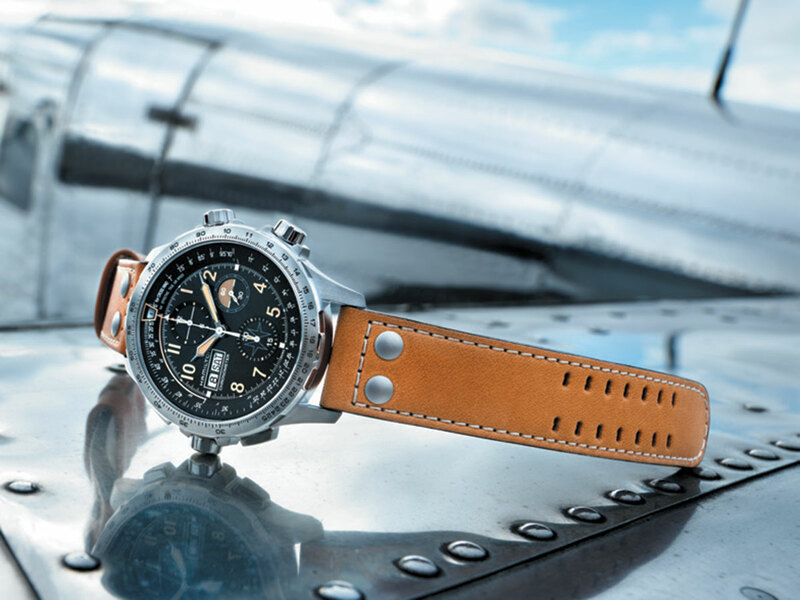 By the mid-1930s, the brand had become the official watch of four major U.S. airlines, and later would develop and supply watches for military forces, air rescue services and more. Hamilton has carefully guarded its reputation in the aviation world, partnering only with the finest rescue and flight teams. Hamilton’s original headquarters in Lancaster, Penn. 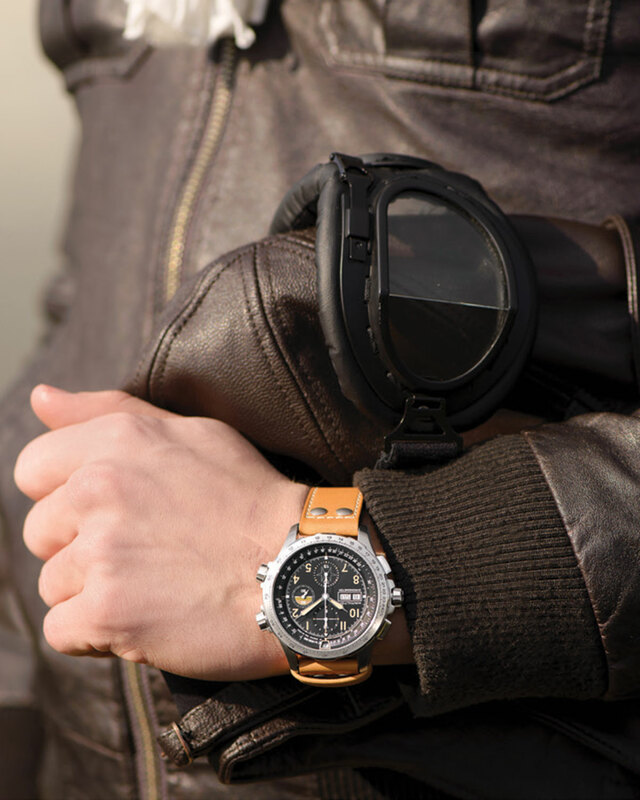 While Hamilton has been involved with the Red Bull Air Race World Championship for nearly a decade, last year the brand became its official timekeeper. This exciting partnership brings Hamilton in full focus at eight aerobatic aviation races globally this year. French aerobatic aviator Nicolas Ivanoff is a Hamilton brand ambassador, as are Spanish flying ace Juan Velarde, Canadian daredevil Pete McLeod and Italian aviator Dario Costa. Each of these pilots wears, tests and reports back to Hamilton on the modern aviation watches the brand builds. 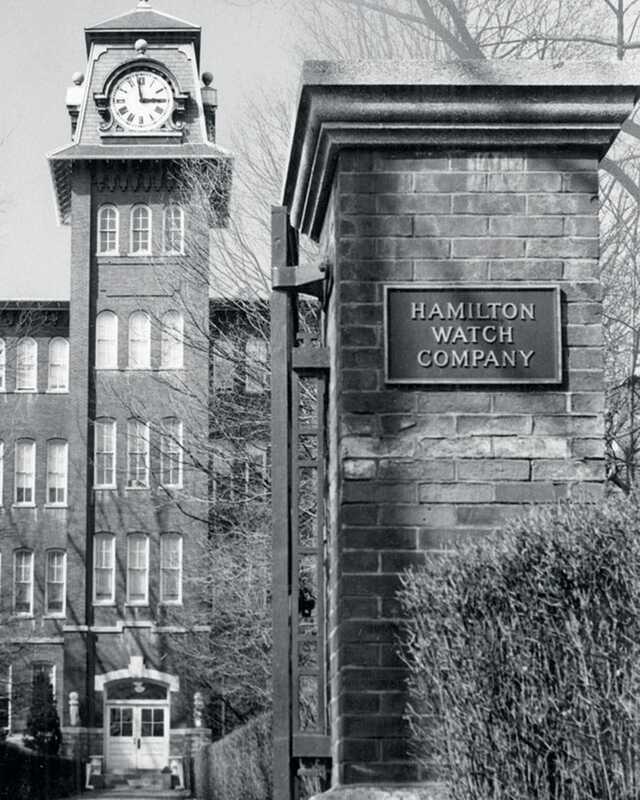 Many of the functions equipping Hamilton aviation watches are the result of this ongoing collaboration. The 45 mm stainless steel watch—created in a limited edition of only 1,918 individually numbered pieces—is powered by Hamilton’s first chronograph movement with a silicon hairspring. The silicon renders the watch anti-magnetic, more resistant to shock and more precise. This special chronograph offers time indications, day and date display, chronograph counters and inner turning bezels. The dial features Super- LumiNova numerals (sand-colored during the day and glowing green in the dark). The limited-edition classic is offered with a leather strap ($2,595) or stainless steel bracelet ($2,645).